Columbine, Sandy Hook, and Parkland are just a few of the nation’s tragedies that have affected countless children and parents. As a result, every school should have a preparedness plan that includes addressing the vulnerability of every window. Because front doors are typically locked during the school day, an active shooter looking to do harm will typically gain entry by shooting through a window and walking through the resulting opening. 3M’s invisible Safety & Security Film can help to prevent that by holding broken glass in place. 3M Safety & Security film has become an integral component to thousands of school preparedness plans throughout the United States. 3M Company recommends its ULTRA S800 Safety & Security Film or its Safety S140 Safety & Security Film anchored by a 4-sided Impact Protection Adhesive. 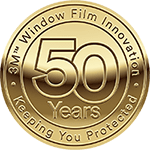 3M warranties its films for up to 15 years. To learn more about how safety window film can safeguard schools, click the button below to read a case study about a Cincinnati School that took action to protect its students and teachers. Helping you feel safe and secure is our top priority. Call Carolina Solar Security to schedule an onsite consultation, where we will assess your needs, make product recommendations, and provide an estimate.